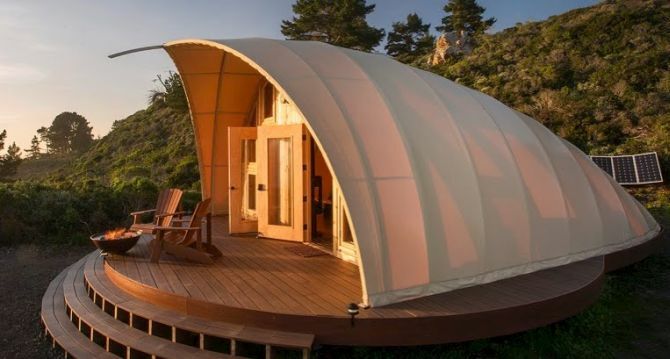 This metal-framed tent basically rests on a raised wooden deck without permanent foundation. It is further covered with a high-tech, translucent fabric shell that’s resistant to mildew, rot, and pests. The luminous resilient fabric shells cover the metal frame, which glows at night and also provides natural indoor lighting at daytime. The construction materials, such as steel, aluminum, laminated beams, and translucent fabric shells, make the tent strong enough to withstand all climatic conditions. 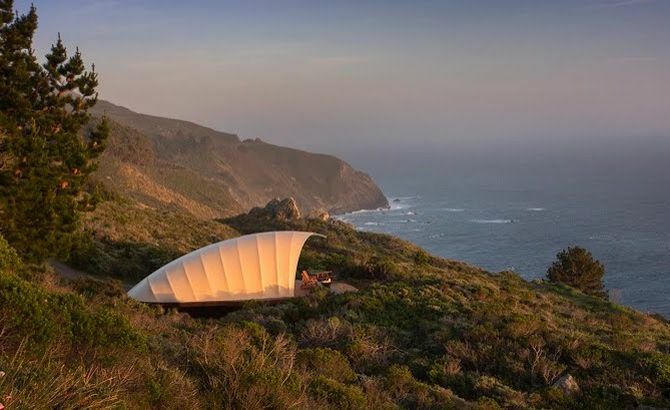 In fact, this cocoon-shaped shelter has been engineered to hang tough during 90mph hurricane winds and heavy snow loads of up to 30 pounds per square-feet. 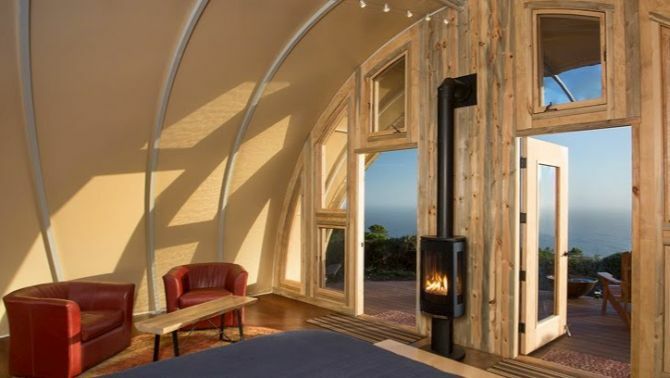 Autonomous Tent is also installed with solar-panels, gray water systems and composting systems to offer complete off-grid living, without compromising comfort and luxury. Inside the tent, a king-sized bed is present to let the inhabitants relax comfortably. For more warmth and relaxation, gas fireplace and leather lounging chairs are also provided within the outdoor shelter. Even bathroom has high-end facilities such as a claw foot shower and a flushable composting toilet. 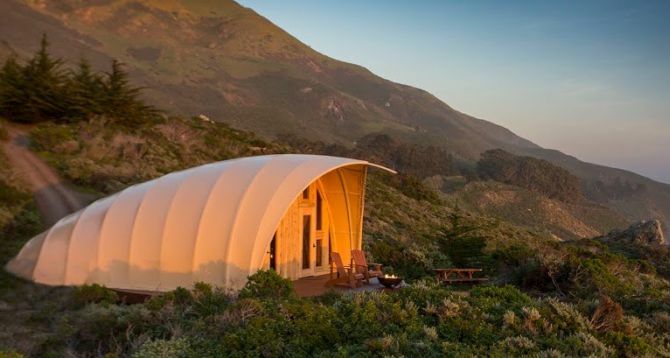 Two models of the Autonomous Tent Cocoon are available: 700-square-feet cocoon and 1,000-square-feet tipi. You can select any of these models to make your outdoor experience more enjoyable.